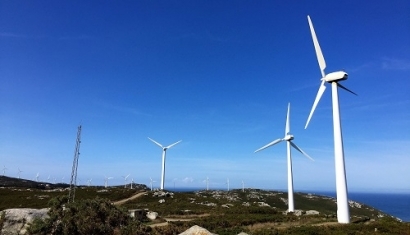 Surus Inversa has dismantled the Zas and Corme wind farms located in A Coruña. It is the biggest wind farm dismantling project ever undertaken in Spain. The dismantling and reconditioning of both wind farms will enable the sale of 141 wind turbines, nine measurement towers and 43 electrical substations. This project will be the first step to the refurbishing of these wind farms, since all 17 wind turbines will be replaced with newer models generating the same output power. Zas’ Wind Farm has currently 80 wind turbines each generating 300 KW. The total output is 24,000 KW. Corme’s Wind Farm consists of 61 wind turbines, producing a total output of 18,300 KW. The machinery will be auctioned in Surus Inversa’s online portal for industrial auctions, Escrapalia.com. Any interested buyer will be able to verify all assets during the planned visits to the facilities on February 13th and 20th. The equipment is ready for a second life and works perfectly thanks to its good condition. The principles of circular economy are applied to the project management. The life cycle of the equipment will be extended thanks to reduction, reuse and recycling. The first goal is to prioritize reusing the machines and components. Alternatively, components are reused as spare parts for similar equipment. Finally, the components that, due to their nature and economic value can be transformed for a different use are recycled. One example of this is the fiberglass extracted from the blades of the wind turbines. It can be incorporated to clinker, the main ingredient for manufacturing cement. Surus Inversa will also handle and manage all waste generated during the project. The company previously handled the 2016 dismantling of Malpica de Bergantiños’ Wind Farm, in A Coruña. During this project, 69 wind turbines and 15 electrical substations were sold for three times the minimum price. Surus Inversa is a company which specializes in recapturing value through reverse logistics. Thanks to the principles of circular economy, projects are executed in the most efficient way. Costs associated to client returns are drastically reduced through specific operations aimed to optimize benefits and recapture as much value as possible.